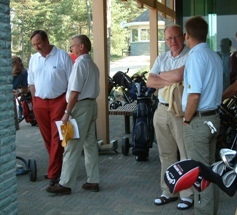 Since 1999, each year on the second Tuesday of September VZM Management Services hosts the Dutch Aviation Open golf tournament for its customers and relations. Before and after the match or clinic there is opportunity for the participants to extensively exchange the topics of another year of aviation and other experiences. During the dinner we will have the prize giving ceremony for the Hans Minnee Challenge Trophy, the winner of the clinic competition and the trophy for the “Nearest to the (runway) centerline” competition. To watch photos of this popular event click on the year of your choice for 2006 and later.